All the shopping and socializing at this time of year can be enough to give you a headache, but could it actually be damaging your hearing? On top of all the voices in busy stores and restaurants, many businesses pump up the music volume. 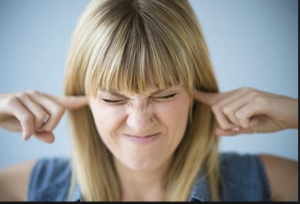 So, when Global News received an email from a viewer concerned about noise levels, we decided to do an (admittedly unscientific) investigation. What is it about Edmonton that makes them conscious of damaging our hearing. Several years ago, research done in Edmonton showed the noise levels at playoff hockey games exceeded what would be considered toxic in workplace. Same thing happens with football games in Seattle. Now, once again Edmonton has shone a light on this persistent problem. Let me pose a question. What would be the response to 20% of the people of Edmonton, Chicago, Paris, or London were all suffering from the same ailment; the same disease. I think the response would be significant. Over 20% of those working in noise suffer from some noise induced hearing loss (NHIL); an industrial disease. Contrary to popular belief, NIHL is not just the result of an exposure to loud noise. It caused by the ears being tired from constant exposure to more sound than they can process in a 24 hour day. Articles like this one, that alert the public to be aware of noise from all types of sources. It increases our sensitivity to this problem. Imagine working all day in a loud workplace with proper hearing protection. Now add to that the noise from the mall or the game. Your poor tired ears! (The article talks about a smart phone sound measurement app. Very few of these apps are accurate enough to be used for more the curious interest). So please be aware of how often you are exposed to noise. Whenever you can, limit the level of exposure AND the time. When you get a break at work, move to quiet. Let your ears “catch their breath”. As my Jewish Grandma would say, “it couldn’t hurt”.